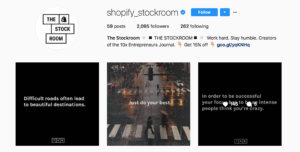 Are you looking to get a verified badge on Instagram? The verification is a highly sought-after badge that only a few selected individuals and brands get, so how can you increase your chances of obtaining one? We have many names for the things we love, and the Instagram account verification sure has plenty of them. What is the verification badge? 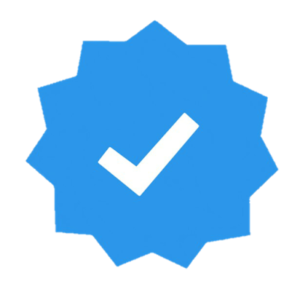 The verification badge is a blue badge that is placed just right to the username on the profile of the verified account. It is also visible in search and in comments. 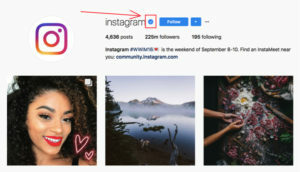 The blue tick on Instagram is similar to all types of verification badges across social media platforms such as YouTube, Twitter, and Facebook. The purpose behind a verification badge is that it shall signify that the account is the “official account” belonging to that exact brand or person. In order to avoid mix-ups and imposters saying that they are someone who they really aren’t, Instagram quickly introduced the verified badge to their platform. With the verified badge, people can quickly distinguish the real deal from the imitators and impersonators. In short, It basically means that Instagram ensures the authenticity of the public figure, celebrity, or brand the account is created to represent. Okay, now to the big question. How do you actually become verified on Instagram? While Instagram hasn’t given a clear recipe on how you become verified, they have given some tips. Plus, There are a few things that all verified accounts have in common that we can take wisdom from. Want to know what those things are? It might sound crazy, but it’s logical if you think about it! Therefore, the simple and quick answer to getting your account verified is simple: Have impersonators! Some people are creating their own impersonation pages in order to make it look like a lot of people are impersonating them, and trick Instagram into giving them a verified badge. It’s quite interesting how the points of obtaining a verification on your account ties together so well, yet still, people are trying to make the matter more complex than it actually is. Why does Instagram give out badges? What was the answer to the question above? If you look at celebrities on Instagram, there is an insane amount of fake accounts trying to resemble them. In those cases, giving them a verification badge is essential. There’s no doubt about it. 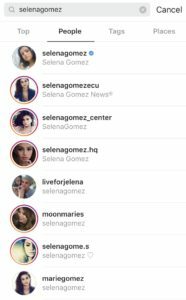 With just a quick search, I found 54 accounts with the name Selena Gomez, and I can ensure you that there are plenty more. So there is no doubt that the verified badge is needed so people can quickly identify the real deal. 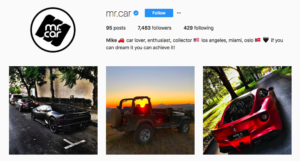 While there is no follow limit, most verified Instagram pages have over 1 Million followers. The reason Instagram hands out verification badges is so people can quickly distinguish the real deal from the impersonators. Those who have a lot of impersonators tend to have a lot of followers. If the verified accounts don’t have a lot of followers, it’s not as common to be impersonated. Those who have a lot of impersonators tend to have a lot of followers. If the verified accounts don’t have a lot of followers, it’s not as common to be impersonated. …And if you aren’t impersonated, there’s no point in giving you a verified badge. There are even verified accounts with a follower count of below 5K! This just goes to show that followers aren’t everything, however, the chances of being impersonated are far bigger if you have a lot of followers, therefore, naturally, there will be more accounts with a larger following. The great thing about building your followers to get a verified badge is that you can’t go wrong! Even if you have built a massive follower base and still don’t get verified, your followers are still there. While Instagram doesn’t publicly say that this is necessary for a verification badge, it certainly doesn’t hurt. Instagram wants their users to be active on the platform, more so, use it every single day. The happier you can make Instagram, the bigger the chances are they’ll verify your account. Let’s say Instagram comes across your account and sees that you have achieved all the necessary steps to becoming verified. Then… they see that you haven’t shared a single post in several months or even years! They probably won’t give you a badge, right? First of all, they might believe you have quit using the platform. Second, what’s the purpose of giving a verification to a page to someone who doesn’t even use the platform? That is like giving a raise to someone who doesn’t even work there. You don’t want to be the person giving a bad recommendation and nor do Instagram. then you probably won´t be receiving a verified badge. Firstly, they might think that you have quit Instagram. And what´s the purpose of making a person that doesn´t even use the app certified? While we don’t know if Instagram keeps a “record” of Instagram users, they can with 100% certainty see how many warnings, blocks, bans etc. that a user has gotten – if they would like to. If they see that you’ve broken Instagram’s rules several times, gotten yourself reported, and so on, chances are, you won’t get a verification. That’s like rewarding a dog that has peed on the carpet. Spamming, spreading hate, buying fake followers etc. The last thing you want to do is make Instagram unhappy. Especially if you’re aspiring to get the verification badge. Can you copy and paste the badge into your profile? While some websites claim they have found a “hack” on how to copy and paste the verified check mark in your profile, it is not possible. 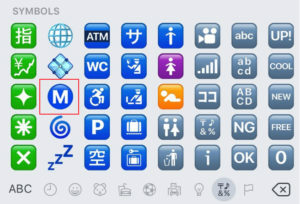 If you want to make it look like you have obtained the verification, a trick is to include the “M” emoji (on iPhone) in your bio. While it isn’t the smartest method, I did actually try this a few days to see if it would actually work. To my surprise, after a few hours, I got a message how I got the verification badge! Is there any verification form? No. There is no form that you can fill out in order to obtain the verification symbol on Instagram. Can you request a verified badge? As of now, it is not possible to request a verification badge. However, if you believe you fulfill all of the criteria mentioned above, it certainly doesn’t hurt to contact them and ask for it. Can Instagram remove the verification badge? Yes, Instagram can remove your verification badge once you’ve got one. While Instagram doesn’t explicitly tell you what you should do in order to get verified (except telling you that people need to have impersonators), they do tell you what you shouldn’t do if you read between the lines. Considering that Instagram clearly says you should not do these things, if you are currently doing them, you can just say goodbye to obtaining the verification badge. The last point is especially interesting because nowhere have I read that non-open accounts (private) can’t get verified – but now you know! Can I pay for the badge? 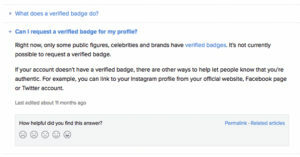 Since these badges are handed out on an individual basis by moderators at Instagram, it is impossible to pay for one or fool an algorithm into thinking you are worthy of verifying. The only way to get verified on Instagram is through these methods. Unfortunately, there is no other way, and even if you do follow all of these steps, it’s not sure that you will get the verified badge. In other words, the faith rests in Instagram’s hands. Just keep building your presence on Instagram, make sure you read the post once again carefully, and stay consistent. Good luck with your verified badge! Instagram recently introduced the ability to “request” to be verified. Simply go to your profile, tap setting in the corner and then “request for verification”. Then, attach business documents or driver’s license (but make sure you have a business account). Instagram will then review your account and decide whether or not your account meets the requirements for being verified. Follow the steps in this article. When you have done these steps, there’s nothing more that you can do since Instagram decides if they should verify your account or not! It’s not possible to somply verify an account. My best advice is that you meet all (or most) of the criteria in this article, then request to have your account verified to Instagram.